The leopard habitat depends on where it is so the first map shows the leopard range (distribution throughout the world).The range is the widest of all the wildcats but it is, as you can see shrinking rapidly. The red is the “historic range” (courtesy Wikipedia® user: Altaileopard- I believe this to mean from before 1996 but they are unclear) and the cyan lined areas are what is believed to be the true leopard range as at Sept. 2009. It comes from the IUCN Red List of Threatened Species™ (Red List) website. They should have a handle on the current range although it seems that wild cat ranges can always be refined and they will definitely always need to be constantly upgraded. Although the range is still large it is about half what it was. A wide range means a wide range of habitats which further translates to an adaptable wild cat and the leopard is certainly that. It can be seen in many different habitats. This is in part because of its bold and stealthy character. The embedded map (second down) is a map showing places where vidoes have been made of the leopard hunting. To see them in their habitat please click on the red markers. Here are some reserves within the leopard range where this cat lives. Reserves are pretty much where it will be found in Africa and India. If by some chance you would like to use the above maps please give me a credit (Made by Michael @ www.pictures-of-cats.org). You can see the original map at this URL: Leopard Habitat 2009. Please click on the blue flags for videos that show the leopard habitat in the best way. In fact the videos are the only material available as almost all the still photos are of cats in captivity. A crude but effective test of modern distribution of this felid is the availability of videos in places other than Africa. There are some from India but not many. Turkey? No and I wouldn’t expect there to be any videos of leopards roaming around the Turkish countryside. It is listed by the Red List as being there. And Vietnam or China? No, nothing from those countries in the way of images either moving or still. I am not sure it occupies these countries anymore to be honest particularly when consideration is given to the way these countries treat domestic cats and the demand for wild cat body parts to supply chinese “medicine”. The leopard habitat is then almost any habitat but excludes true desert and preference is given by the leopard to cover provided by forest. One reason why the leopard habitat is so varied is because the leopard diet is equally varied from bettles to eland, an antelope whose habitat is the African savannah. Morocco – Atlas Mountains – very small “relic” population. I will presume that this is unsustainable but I might be wrong. Please click on the red marker in the map above to see a photo of this habitat. Arabian Peninsula – the Negev desert, the Wada’a mountains of Yemen, and the Dhofar mountains of Oman. Russian North Caucasus – mountain ridges and headwaters Avarskoe Koisu and Andiiskoe Koisu rivers (the source of a river). Georgia – south east: Vashlovani Reserve. Iran: “common” in the Alborz Mountains and found in the protected areas such as the Dena and Bahram’gur protected areas. Pakistan – montane areas (of the forest and below the tree line). 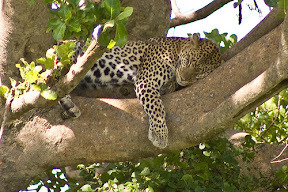 This entry was posted in leopard and tagged leopard, Leopard Habitat by Michael Broad. Bookmark the permalink.